Rapid advancement in technology forces the researchers to search for advanced materials with higher performance like composites. The composites are known for their better mechanical properties and less weight, but the cost is the major factor that hinders the wider application of these materials. 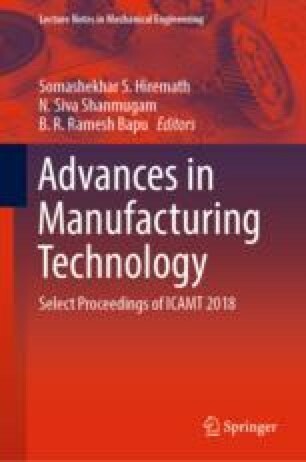 In this study, welding slag is reused as reinforcement to produce economical metal matrix composites, because slag is produced in enormous amount during welding of materials which causes pollution. The aluminium alloy (Al 6063) is used as base material. Weld slag of different weight proportions (0, 5 10 and 15 wt%) is mixed with Al 6063 through stir casting process, and samples are taken for investigation. The mechanical properties of the composites like tensile strength, compression strength and its wear behaviour are analysed. And also, the microstructure of the MMC is analyzed through optical microscope (OM) to determine the weld slag distribution in aluminium matrix material. The observed result indicates that the addition of weld slag particles with aluminium increases the mechanical properties. The composite having 15% of welding slag exhibits the best tensile and wear resistance.